This compact spotlight is a convenient for when you need some extra light. 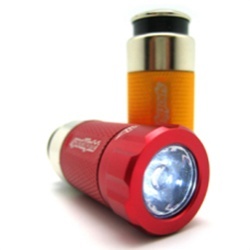 Whether it's changing a tire, searching for lost items or locating your keys, the Spotlight will always be at its peak power. Due to the clever charging system, your vehicle's 12 volt power outlet (cigarette lighter) the spotlight is always charged, ready to use and within reach.